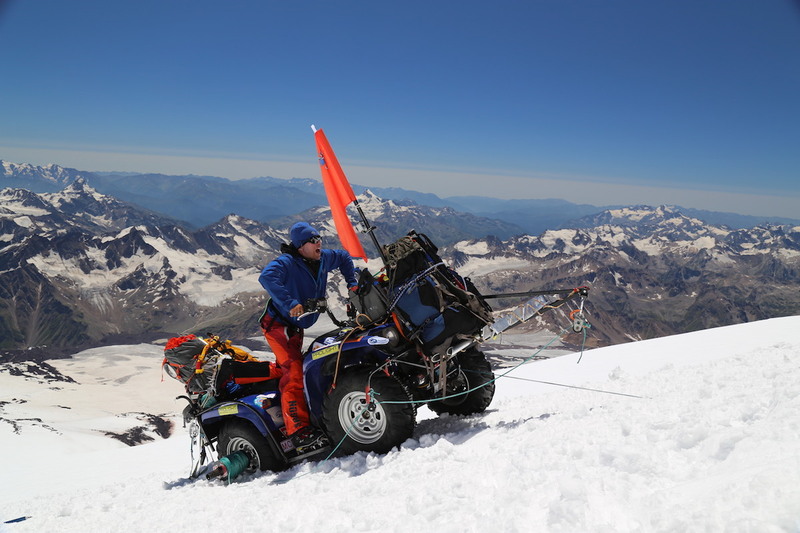 2016 — New World Record: Summiting Elbrus with a Quad! 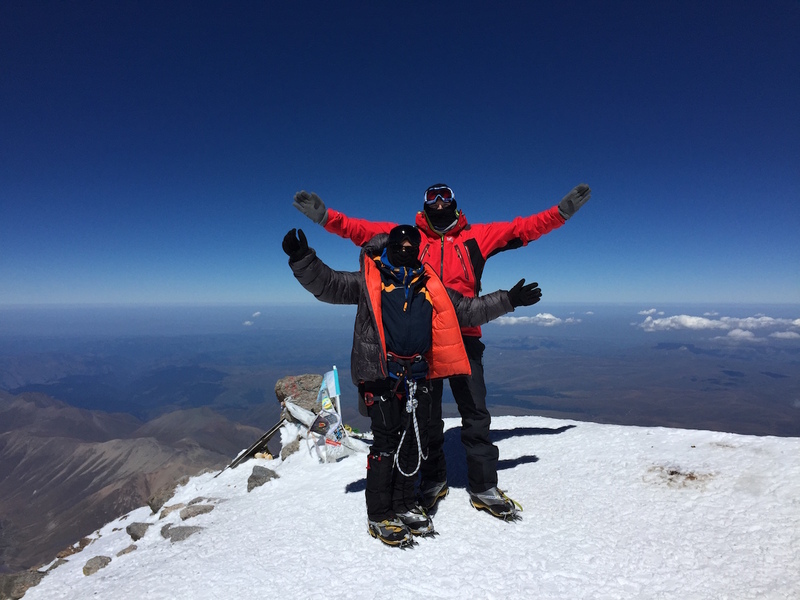 2015 – Summit Elbrus from the South with an 11-years old boy. 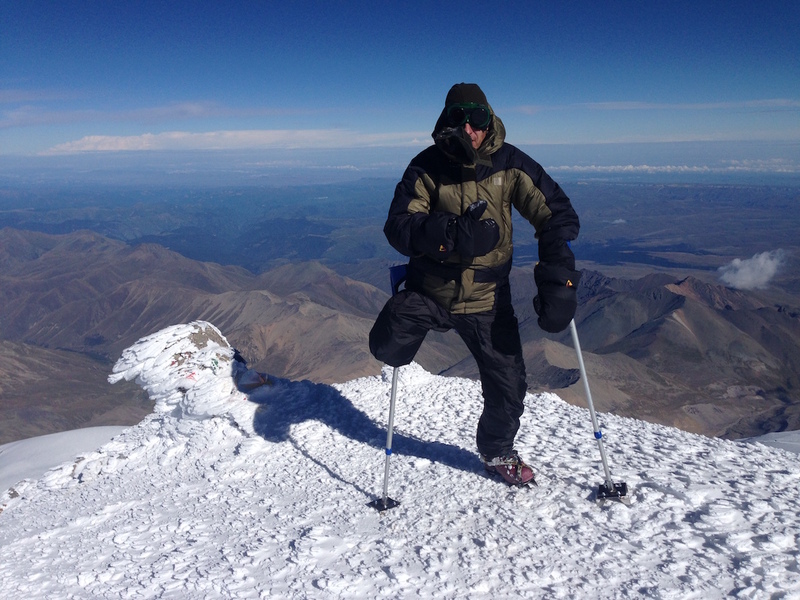 2014 – Organizing the expedition and climbed Elbrus from the South with the disabled person Vadim (Russia). 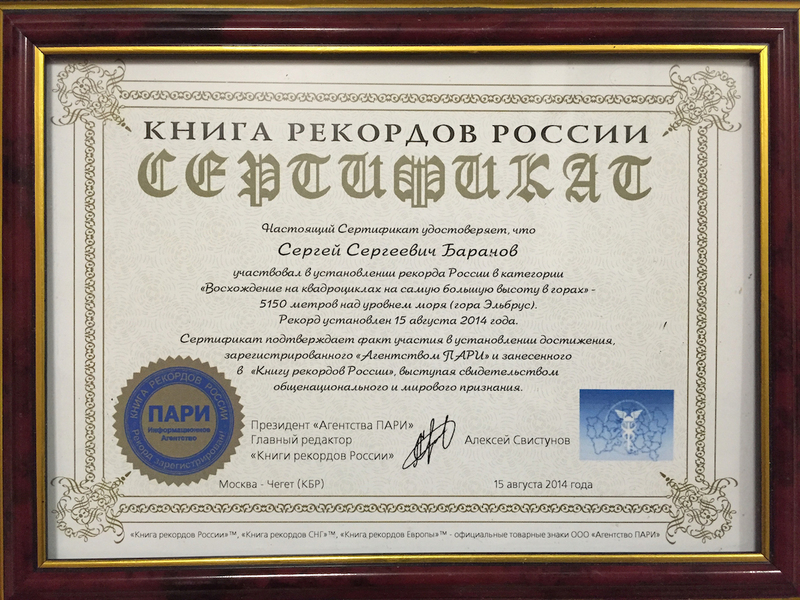 2014 – Support and leading the climb to Elbrus by ATVs from the South. 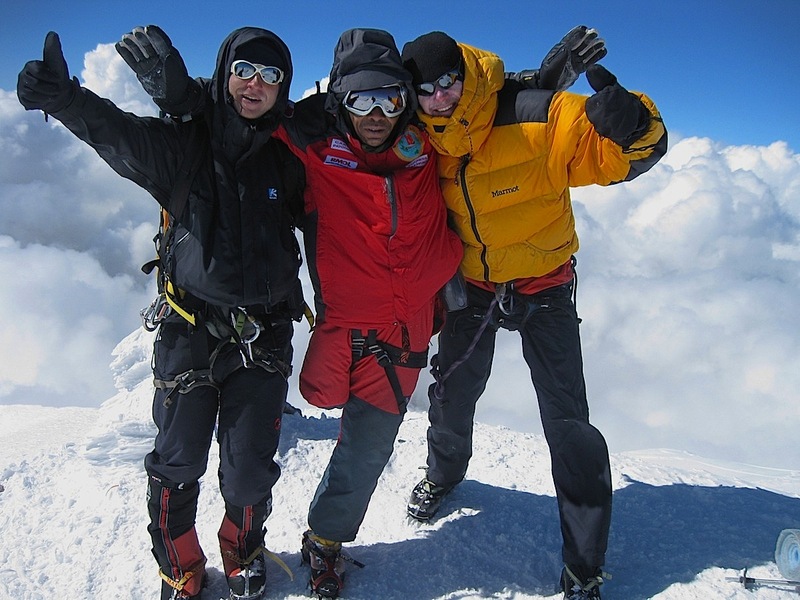 Reached height of 5150m, then stopped due to local political problems. 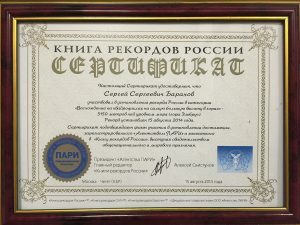 Got the Russian national record (and actually the world record so far), fixed in Russian national book of records. 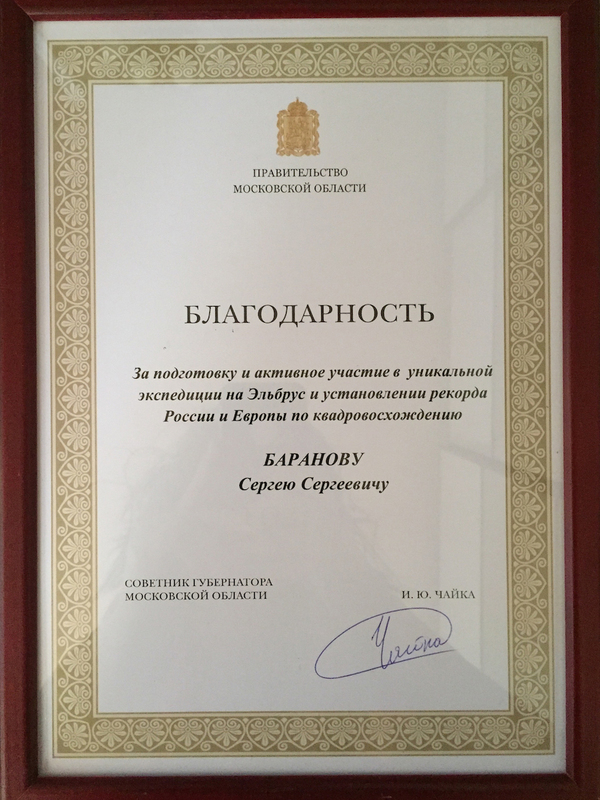 Received Gratitude from Moscow region Government. 2011 – Sergey Baranov led the team from Indonesia, and climbed Elbrus from the north with a disabled person Sabar. 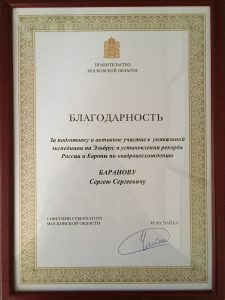 Alpindustria was organizing camps.